If someone had offered West Brom manager Darren Moore a 29-cap international defender with 144 Championship outings and 125 Premier League appearances for nothing at the start of the summer window, chances are he would have snapped their hand off. The Baggies did bring in two centre backs to join Craig Dawson and Ahmed Hegazy in the shape of Kyle Bartley and Tosin Adarabioyo, the latter on loan from Manchester City, showing their need for new recruits at the heart of the defence, and another would not go amiss as they look to push for a top six spot. Which is why them choosing not to pursue a deal for Russell Martin is a massive blunder on their behalf. 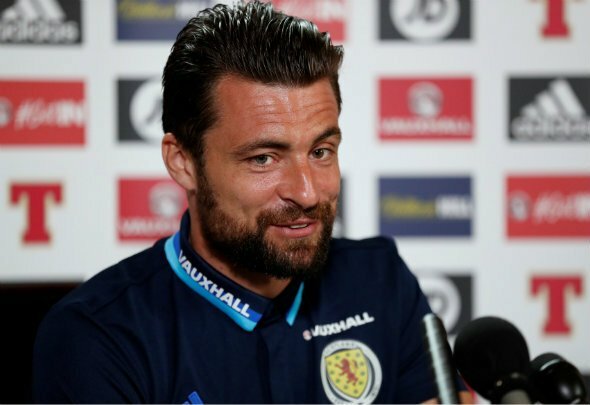 The Express and Star claim on their website that after a trial at the Hawthorns, the Championship outfit have chosen not to pursue a deal for the Scottish international, and it is a move which could come back to haunt their play off push over the coming months. Martin might not be star quality but he has valuable experience which would prove useful to Moore’s charge to return back to the Premier League, and taking him on a one-year deal until the end of the season makes perfect sense. They obviously thought they might need someone of his talents by taking him on a trial over the last couple of weeks, and nothing has changed dramatically to suggest the case is any different know. It is a mistake for Moore and you can be certain another ambitious side will choose to snap up his signing.